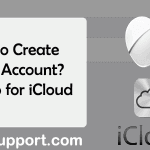 You are here: Home / iCloud / How to Turn on Apple Two-Factor Authentication Code? Apple Two-factor authentication is an additional layer of security to make your account more secure. With this option, other people can’t access your account even when they know your Apple password. 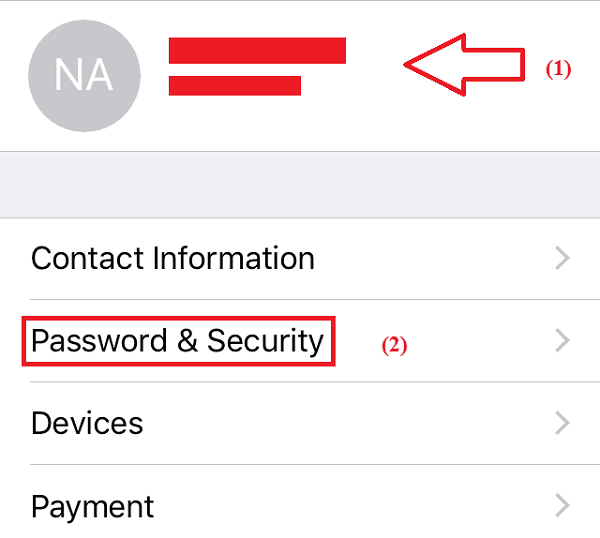 To protect your Apple account by enabling 2FA now. How Does Apple Two-Factor Authentication Works? 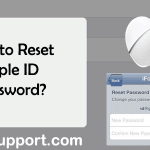 How Can I Receive Apple Two-Factor Authentication Code? To use this feature, your mobile device must be on iOS 9 and later, and your Mac should be on OS X El Capitan or later. 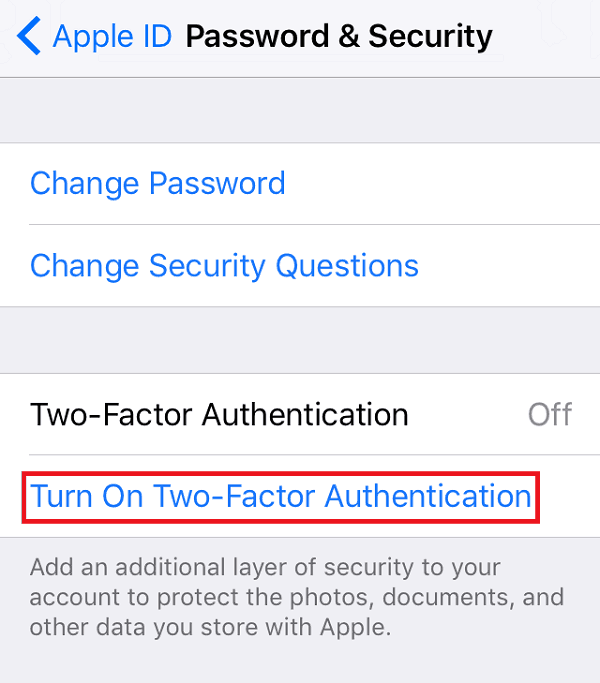 You can enable two-factor authentication only if you’ve enabled iCloud email. Open ‘Settings’ App and scroll down to ‘iCloud’ option. You may need to enter your password after selecting your ID. Tap on ‘Turn On Two-Factor Authentication’. Apple ID Security windows will pop up, Select ‘Continue’. Enter your phone number. You can select the text message or phone call option to receive the verification code Apple. Once verified, your device becomes a trusted device. In future, if you need to log in from another device, you get verification code in the trusted device. Go to ‘System Preference’ and then ‘iCloud’. It may ask you to sign in. And then select Account Details. Click ‘Set Up Two-Factor Authentication’. When two-factor authentication is enabled, your account can only be signed in from known devices like your iPhone/iPad or Mac. If you want to log in from a new device, you have to enter additional six-digit code along with the password. You can get this verification code on your trusted device. 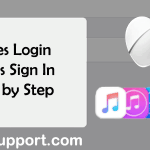 For example, if you already have an iPhone and purchased a new iPad and tried to log in with your Apple ID, you need to enter an authentication code. The code will be automatically displayed on your iPhone. While signing in from the browser, you can select to trust the browser so that it won’t require authentication code in future. If security is your concern, then you should enable Apple two-factor authentication. You might think this is an annoying step but don’t worry you’ve to enter in only once. You’ve to enter authentication code again only if you’ve signed out completely, formatted the device or when you have to change the password. Any Apple device you’ve already logged in with two-factor authentication is a trusted device. 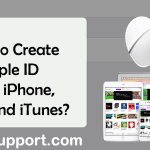 But to enable two-factor authentication your iPhone, iPod touch or iPad should be on iOS 9 or newer. And for Mac, you’ve to be on OS X El Captain and later. You get authentication code on this trusted device in future. These are the numbers you’ve verified while enabling two-factor authentication. You can also verify your home’s phone or phone of your friend and family. Which you can use if you lost your device or can’t access it. You receive authentication code on these numbers. If you own a single Apple product only or don’t have any other trusted device nearby, then you can use trusted phone numbers.